A brick-buster that can't be missed! Play in the same field as your opponent as your fight for control of the board. Collect power-ups and try to score more then your opponent. Download free full version game now and start playing Geometry Ball! 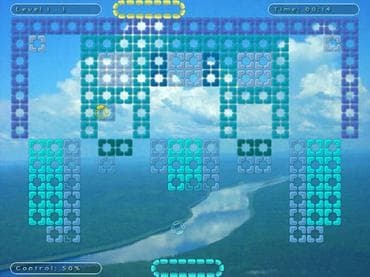 Free Game Features: - Family friendly breakout game; - Amazing graphics and relaxing soundtrack; - Unique twist to the breakout genre games; - Unique power-ups; - Save / Load game option; - Game statistics; - Free full version game without any limitations. If you have questions about Geometry Ball game, please contact us using this form.